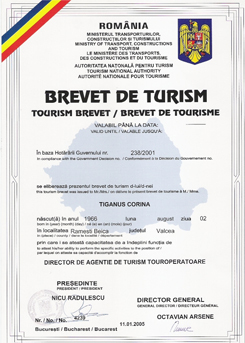 When referring to Romania Tours, "us" or "our company" in this statement, we refer to Nordic Tours SRL. This policy is valid from 25.05.2018. Cookies are small alphanumeric files sent by a web site's server to a web browser (web browser: Chrome, Firefox, Safari, etc. ), RAM, or hard drive and then stored there. These files make it possible to recognize the user's terminal and present the content in a relevant way, adapted to the user's preferences. They can be used for different purposes, such as personalizing the site according to the needs of a particular user, helping a user navigate the website, improving the website quality for the user, or storing user preferences and information connection. All this is done by allowing us to improve their structure and content, excluding the direct user's personal identification. Cookies can be classified as "essential" (necessary for site functionality) or "nonessential" (necessary to analyze web site behavior, "analytical" cookies, or cookies used to show ads). Cookies can also be classified as session (remain on the device as long as the web browser is open) and persistent (expires at a fixed point in time or if deleted manually from the web browser). Cookies may be ours (belong to the site visited) or third parties (cookies placed on your device by third-party site domains). Facebook: for social communication features such as Facebook like and share buttons or Facebook comments. Cookies are the central focus of the efficient Internet, helping to generate a friendly browsing experience and tailored to the preferences and interests of each user. Cookies are everywhere and cannot be avoided if you want to enjoy access to the best and greatest websites on the Internet - local or international. With a clear understanding of how they work and the benefits they bring, you can take the necessary security measures so you can browse with confidence on the internet. Disabling and refusing to receive cookies can make some sites unfeasible or difficult to visit and use. Also, refusing to accept cookies does not mean you will not get/see online advertising anymore. There are a number of different ways to accept or reject some or all types of cookies. Some of the main ways to do this are described below. You are welcome to block the use of some or all of the cookies that are used on the website. However, please be aware that this may affect your website and its functionality in part or in full. You also need to be aware that deleting all cookies in the web browser will also delete all cookies that store your preferences, for example whether or not you have accepted cookies on a website or any cookies which blocks other cookies. Some browsers, such as Chrome and Firefox, can change the settings for browsing in "incognito" mode by limiting the amount of data entered on the device and automatically deleting all the persistent cookies inserted on the device when the navigation session ends. There are also many third-party apps that can be added to your browser to block or manage cookies. To delete cookies that have previously been placed in the browser, you must select the option to delete your browsing history by ensuring that the cookie deletion or deletion option is enabled when doing so. Facebook and other companies that are part of the Digital Advertising Alliance can opt out of interest-based ads by visiting http://www.youronlinechoices.com, selecting your country by selecting "Your Ad Choices," then finding Facebook (and any other companies you want to block) and selecting the "Off" option. Cookies are NOT Viruses! They use plain text formats. They are not made up of parts of code so they cannot be executed or can auto-run. Consequently, they cannot duplicate or replicate on other networks to run or replicate again. Because they cannot perform these functions, they cannot be considered viruses.